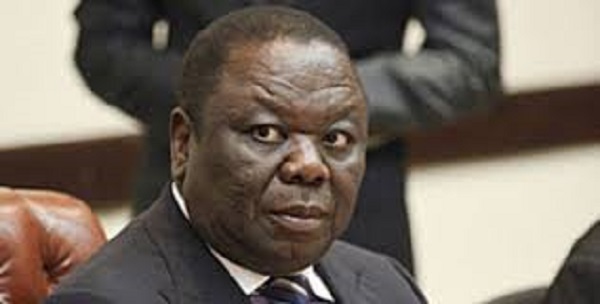 ZIMBABWE – The Movement for Democratic Change (MDC) is yet to come up with dates and a venue for its elective congress. The party, which broke away from the MDC-T under Morgan Tsvangirai in 2005, held its last congress in January 2011. At the congress, Welshman Ncube was elected as president ahead of former party leader, Arthur Mutambara. The party performed badly in the July 2013 polls by failing to secure a single National Assembly seat out of the 210 that were being contested for. The green machine, as the party is affectionately known, only managed to secure four proportional representation seats in the august House. Party national spokesperson, Kurauone Chihwayi, said although their elective indaba was on this year, no dates have been agreed on yet. “I can confirm that the MDC will hold its fourth elective congress this year, but the time table is yet to be released. We are only three weeks into the year and trying to find our feet, but we have a constitutional obligation to convene an elective congress any day before the end of the year. According to Section 5.2.4 of the MDC constitution a notice convening the congress shall be sent to all provinces and districts by the secretary general with the approval of the National Council at least one month before the date of the congress,” said Chihwayi. The congress would be held at all party levels including by the women and the youth leagues. During the course of the year, provinces would be given an opportunity to nominate nine people contesting for the party’s top nine positions. Contested positions would be for the president, deputy president, national chairperson, vice chairperson, secretary general, deputy secretary general, treasurer general, deputy treasurer general and deputy director for strategy and planning. The MDC has previously been challenged to consider coalitions with other opposition political parties ahead of 2018 polls if it is to make significant impact on the country’s political arena. Chihwayi said the party is still considering the idea. “Talks with the People’s Democratic Party (PDP) have not collapsed and arrangements are being made to revisit the deal. The MDC and PDP have a lot in common and a marriage of the two is inevitable. The deal is still alive and plans are at an advanced stage to revisit it. We have structures at branch, district, ward, province and national level making it one of the strongest political outfits in Zimbabwe,” explained Chihwayi. PDP led by Tendai Biti, pulled out of the MDC-T citing lack of leadership renewal.